NOW, Free Shipping & Handling on every order! All packages are delivered "USPS Priority Mail." Protecting your P.O. Box Revenue for over 20 years! Item # 4172 $2.75 ea. 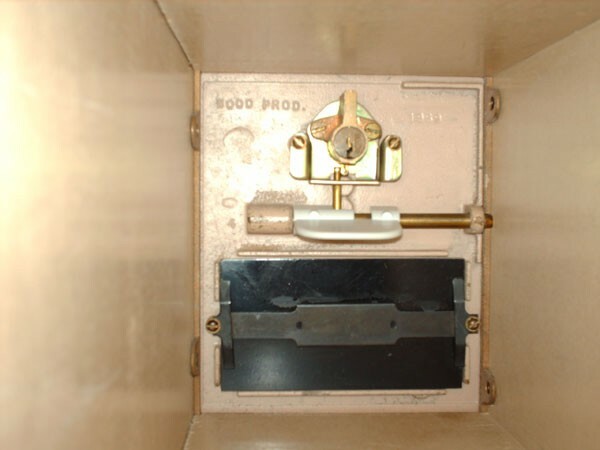 For use in box sizes 1,2, and 3 with key locks as pictured above. Item # 5458 $2.75 ea. For use in box sizes 1 and 2 with key locks as pictured above. 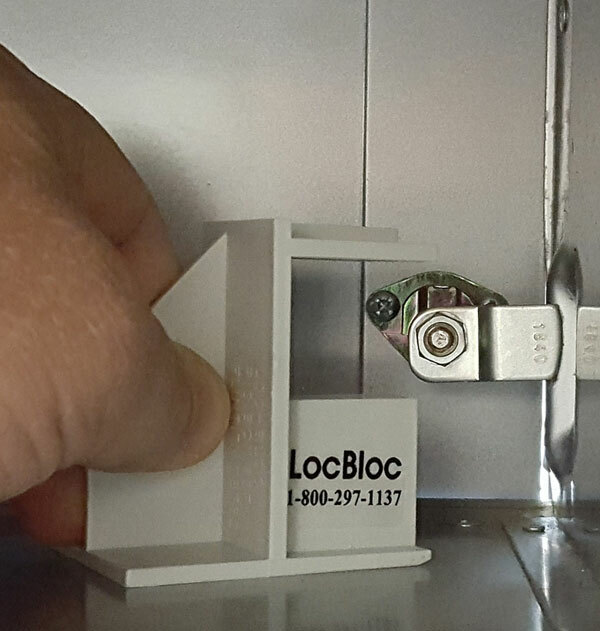 LocBLoc is used to efficiently and securely plug the PO Box lock assembly. Stop wasting your valuable time by taping the backside of PO Boxes and cutting out cardboard inserts. When the LocBLoc plug is installed there is no need to store the patron's mail elsewhere. Mail can still be boxed during the ten-day period. Stop using that block of wood that wiggles off or those cheap imitators that never stay on. 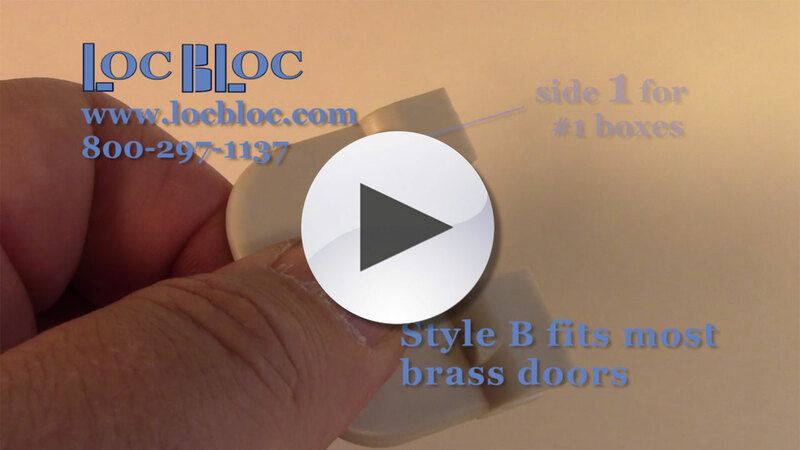 Plug a lock with LocBLoc and the customers respond immediately. 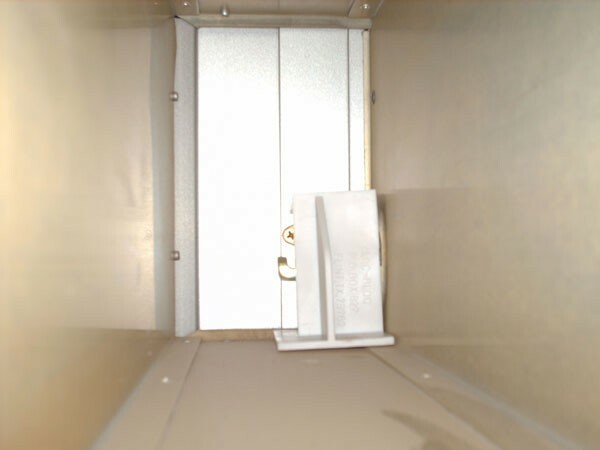 This reduces the potential time lost and costs of replacing the lock assembly. First Notice? Email Notice? 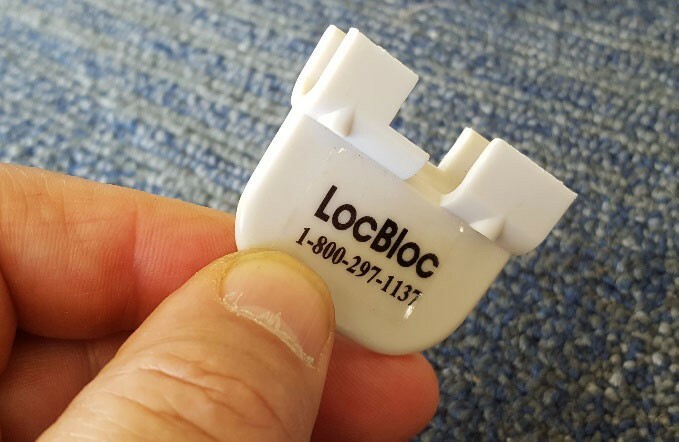 Many Postmasters refer to the LocBLoc plug as the "Final Notice"! LocBLoc, LLC was started by Jimmy and June Durham in 1992 in Flint, Texas. That summer, Mr. Jimmy was piddling in his shop on his saw out behind their house when he lopped off the edge of a two-by-four and it bounced along the floor making a very familiar wood-pinging noise.